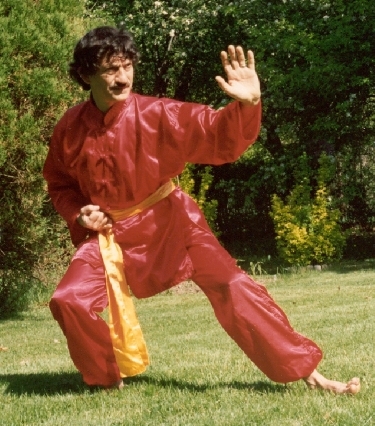 I am learning much from your push hands video and your forum and blog posts because you are a unique master at bridging science an spirit with metaphor. I would like to occasionally re-post your ideas at my mixedmusicalarts blogsite – if that is OK with you? As the King said to Mozart, “too many notes!” I like your post a lot. But, I suggest all modes of sensation require focus. I thank you for encouraging my own recognition of multiple modes of sensation. It makes the Tai Chi Journey ever rewarding. What you have done is open a window on inner life – Thank You! Fits very well into my work (Reverse Therapy – reverse-therapy.com). The Body intelligence (BodyMind) is too often neglected and overruled by our HeadMind. In the end it may create illness, stress etc. Brilliantly stated. You’ve really captured the essence of what Tai Chi means to me. I definitely going to share your words of wisdom to my students. Thank you.